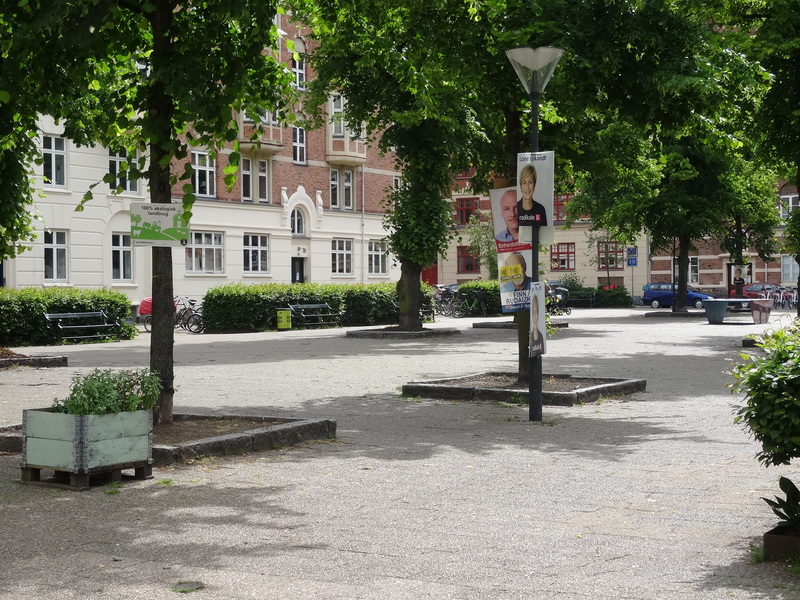 There are sections of Nørrebro that get talked about a lot – some for good reasons and others for less positive – but it is important to remember that a lot of parts of Nørrebro are just typical neighbourhoods, with families, older people, immigrants and others living side by side. Some people are newcomers and others have lived their whole lives here. 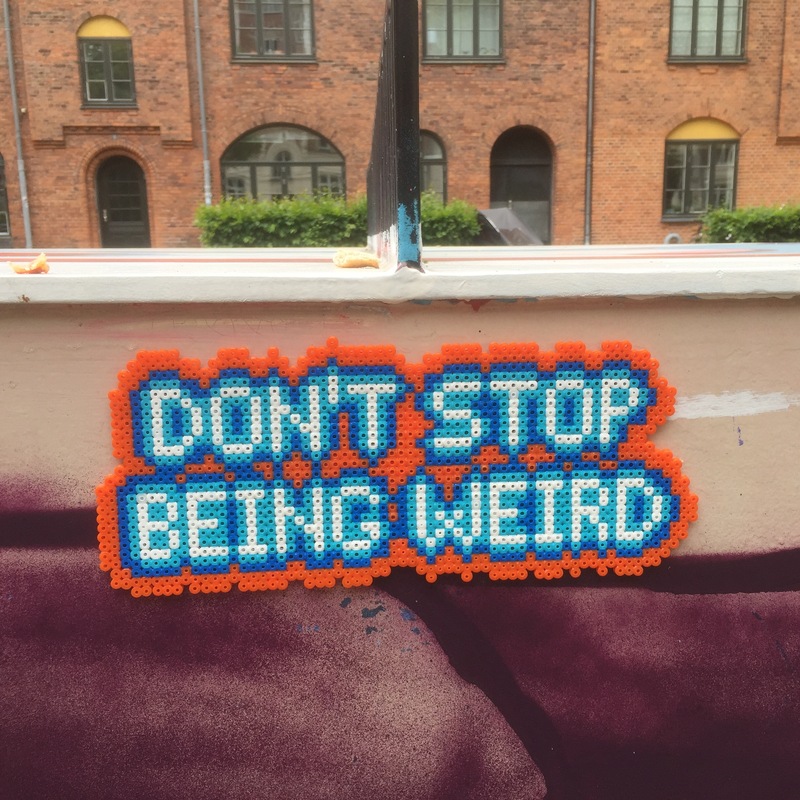 I have been meaning to take in a little more of Outer Nørrebro and to leave my prejudices of the area behind and find the hidden gems, before they get too polished and ‘regenerated’. Whilst on a walk around Guldbergsgade, I continued northwards to outer Nørrebro, past Banana Park and onto Balders Plads. As I walked into the peaceful square it reminded me of Berlin (in a good way) from the architecture to the table tennis tables and the style of the children’s play area. I knew of this square from their flea markets, Balders Biks, held a few weekends over the summer. It seemed last year that they were very unlucky with the rain and had to cancel a few. This year however the markets have been running and, whilst I still haven’t made it to one to know first hand, they seem a great mix of stalls with a lovely community feel to the event. 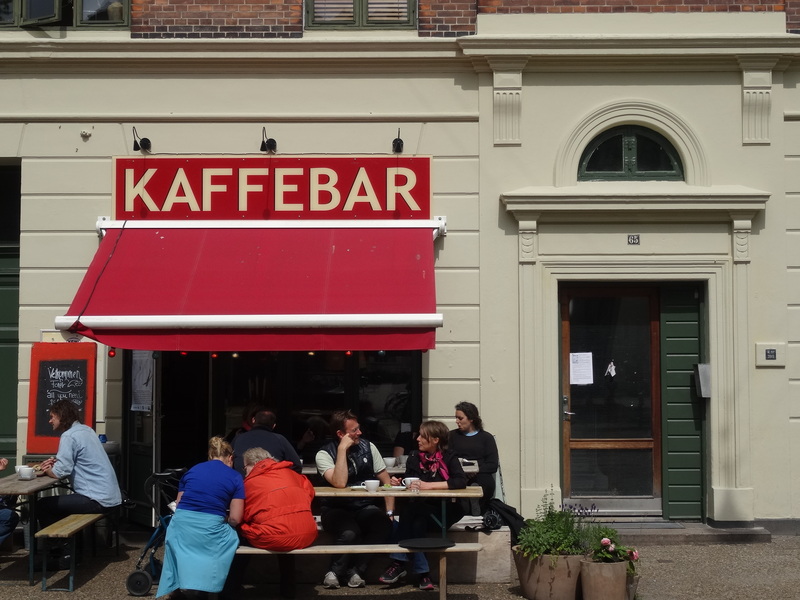 From chatting to the girl in Røde Roses Kaffebar, it seems the square often hosts community events including events for Copenhagen Jazz Festival (July 3 -12). This year (2015) the square will host the largest stage in the festival so if jazz is your thing check the programme out here. But onto the coffee bar. Røde Roses Kaffebar is the kind I love. Shouting its presence from the back of the square with a bold red sign and canopy, this is what a local coffee bar should be all about. I always judge how ‘local’ a place is by the people I see in there and Røde Roses had a mix of older people, families and (dare I say it) subtle hipsters. Probably a good cross-section of the local residents. A bit retro and quirky with an inviting, cluttered space. No fancy sleek Danish design here but a mix of many styles – all equally traditional. 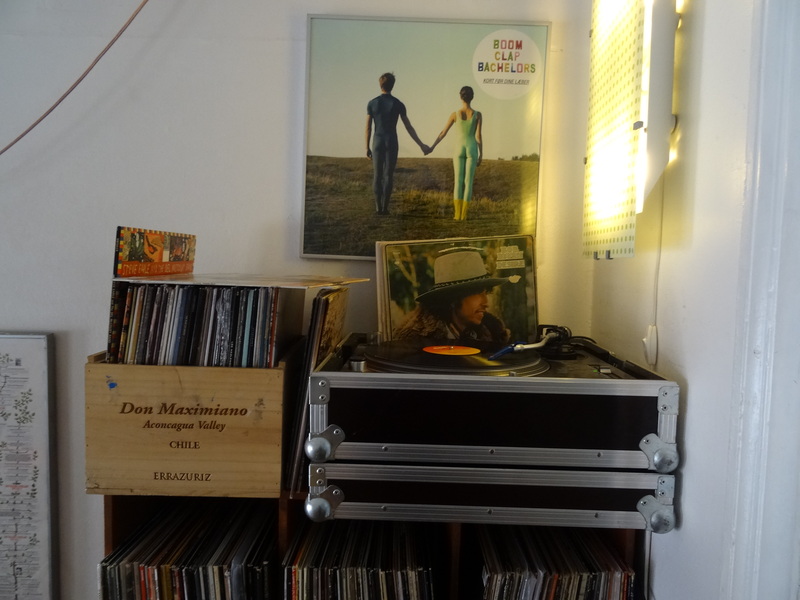 The record player was gently spinning Bob Dylan and I sat, drank my perfect ice coffee and felt very chilled. It is all very ‘slow’ – you fall into a space where you can just relax, although I am sure it can get lively. There is a sign suggesting that families with ‘active’ children should enjoy the play area opposite the coffee bar. 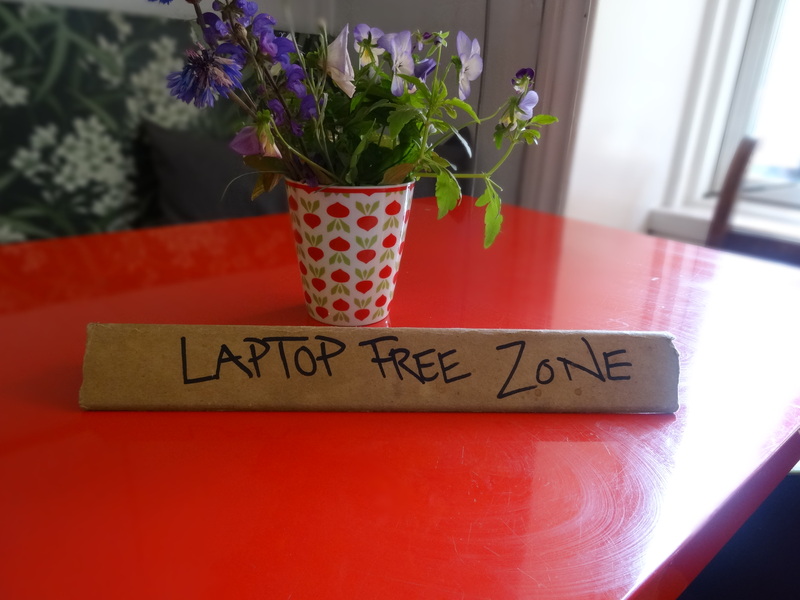 The owner has designated one table as a laptop free area but whilst I love to work in cafes this place would be somewhere I would rather sit with a book or chat with a friend. 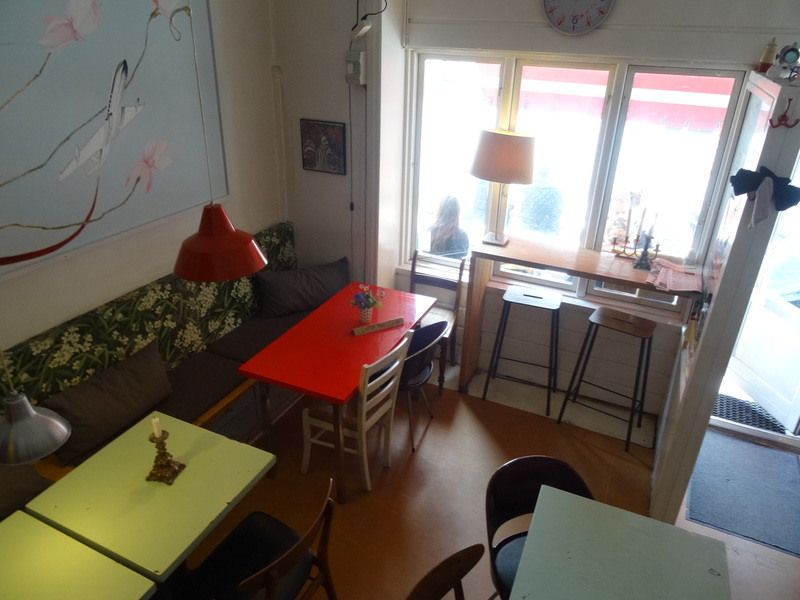 Do pop in for a coffee, or visit the flea market and enjoy a wonderful corner of Nørrebro.